Portland is a food destination capitol. From different cultures striving to offer a taste of home to where chefs push the boundaries to express themselves in exciting inventive ways, Portland is home to many staples if you want something good to eat. Something exciting that is happening in Portland is the amount of businesses working to offer food for everyone. Yes, we are talking about the people with food restrictions like gluten intolerance. Finding the perfect restaurant that also meets your dietary restrictions is a difficult task, kind of like finding that pair of jeans that fits you perfectly. We’ve tried on many pairs of jeans and tried even more Portland restaurants in order to point you in the most delicious directions possible. 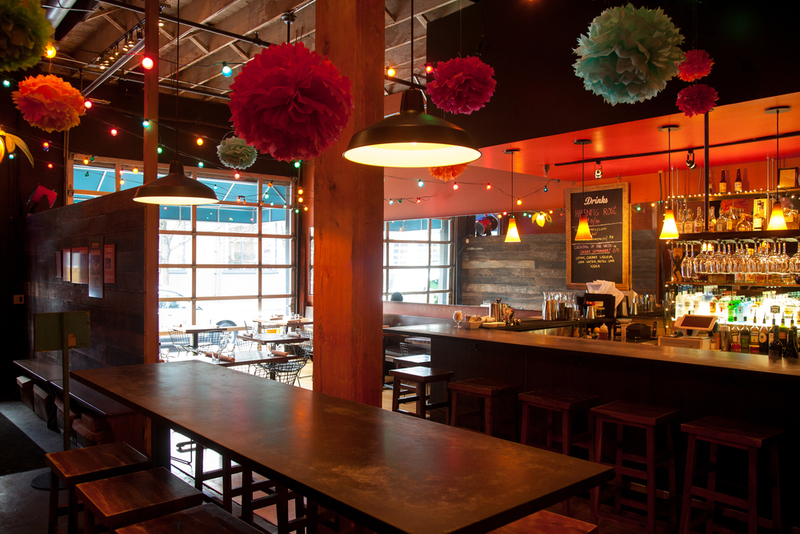 So without further ado, here are our top 10 favorite gluten free restaurants in Portland. 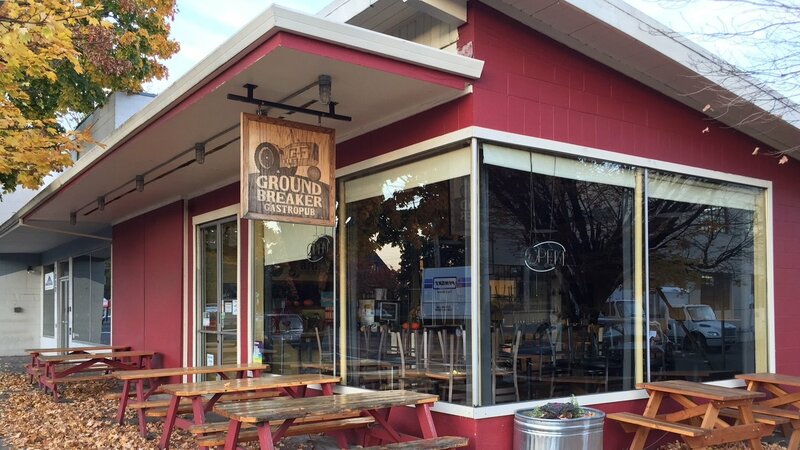 Ground Breaker Brewery serves 100% gluten free food in their gastropub and brews 100% gluten free beer in their brewery. All the beer is brewed in-house in the southeast with all ingredients being locally sourced. Go for the beer flight to experience as much as gluten free beer as you can! 12 oz of perfectly cooked Oregon grown beef, with braised radicchio, maitake mushrooms, roasted marble potatoes, topped off with a delicious preserved lemon butter. Yes, it’s intrinsically gluten free, but good is good, right? The folks over at Tin Shed believe that energy travels through food, not just caloric, but spiritual. They maintain this ethos with locally sourced, farm to table ingredients their own farm, and a home-like ambiance. It’s located in the Alberta Arts district and every item on the menu can be subbed for a gluten free variant. 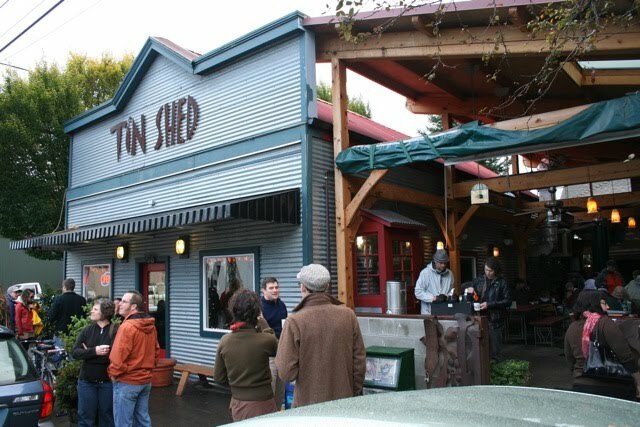 Additionally, Tin Shed is quite possibly the most dog friendly restaurant in Portland, with their own doggie menu to boot! Each full priced breakfast entree comes with a free meal for your pup! This is the kitchen sink dish at Tin Shed. You get a little of everything delicious on the menu, gluten free challah french toast, a potato cake with sour cream and green onion, scrambled eggs, and your choice of meat, with vegan sausage available, all topped with pure maple syrup and fresh fruit. Yum! Verde Cocina is a naturally gluten free restaurant in Portland which combines Mexican flavors with Pacific Northwest bounty. Their Pearl location is a well lit space with bright red walls, fun lanterns hanging, all tied together with colorful rope lights. Their ingredients are locally sourced, and they have menu options for the omnivore, paleo-minded, and vegan. They have a killer cocktail menu too! Chimichurri sauce is good on practically everything, I could be slightly biased. Cocina Verde’s version holds up to the bias. Delicious chimichurri sauce over your choice of grilled chicken, shrimp, or Ota family tofu, seasonal grilled veggies, brown rice, and a white garbanzo bean medley to round off the meal. Delicious! 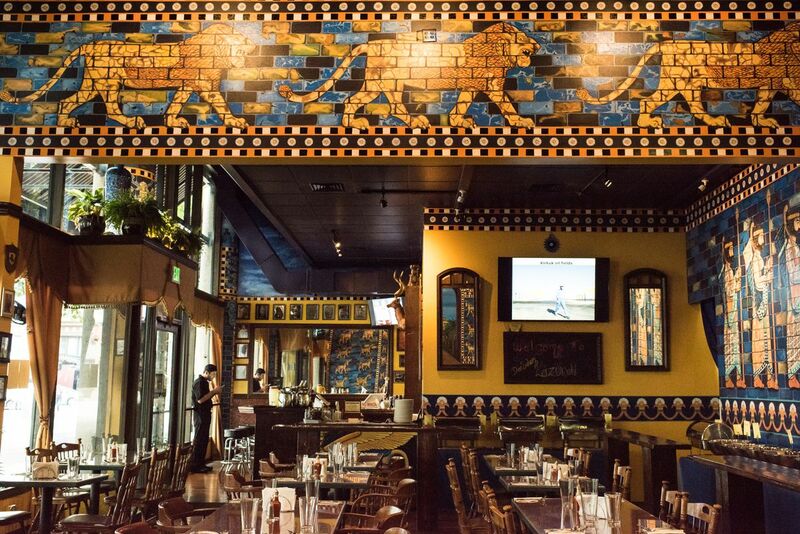 DarSalam is a vibrant Middle Eastern restaurant with beautiful mosaics and historic pictures on the walls. Walking inside feels like you’ve teleported to a bustling restaurant in the Middle East. They serve all sorts of Iraqi inspired dishes including shish kabobs, falafal, and stews, all with gluten free options. The Mezza platter gives you a healthy dose of hummus, baba ganoush, tahzikii, and your choice of falafel, chicken kabob, or lamb kabob, all cooked to delectable perfection. Pair this with a cardamom gimlet and you’re set for a wonderful experience. 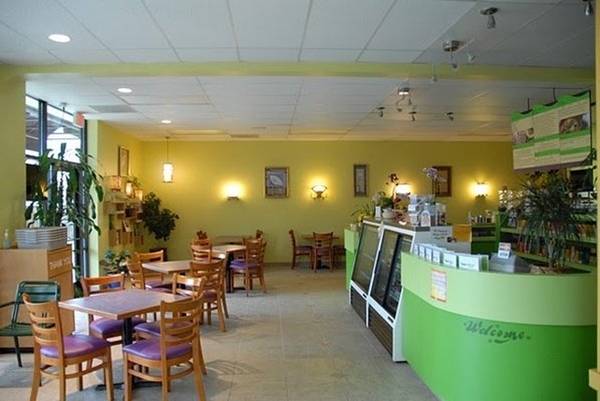 Opened in 2007, Sweet Lemon Vegan Bistro offers a fusion cuisine with creative, healthy, and delicious dishes from Asia and America. The owners, who are lifelong vegans, created some dishes are entirely unique and only found at Sweet Lemon. Their intention is to bring a positive and uplifting dining experience to their guests. Their take on pad thai includes gluten free noodles, tofu and is chock full of assorted vegetables sautéed in a sweet and tangy sauce. If you like your pad thai on the sweeter side, this is the dish for you. Located in the Hawthorne district, Por Que No? Serves dishes that celebrate the flavor and essence of Mexico. Their goal is supporting local organizations and schools that focus on equity, education, health, immigration and social justice. They just want to make Portland and the world a better place and oh boy do they. 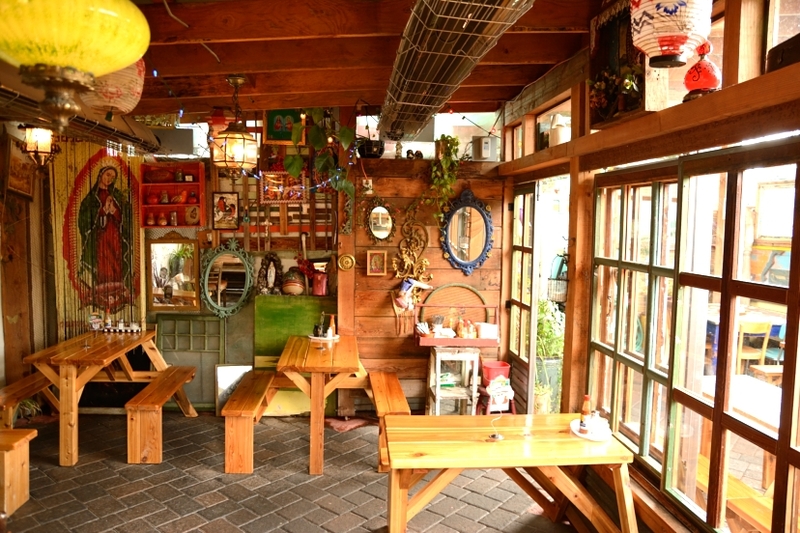 Their restaurant is a bustling, dimly lit space with family style wooden benches, and a great patio area out back. Really, all of their taco options are delicious, but I take to the spicy chipotle rubbed grilled Cascade Farms chicken tacos with crema, spicy salsa de arbol & pico de gallo. Get a few because you’re going to want more. Please try all of the salsas from their robust salsa bar, just beware, some are rather spicy. In the late nineties, when Mississippi Avenue was home to just a handful of struggling businesses, visionary entrepreneurs Philip and Stephanie Stanton saw the potential few others could. 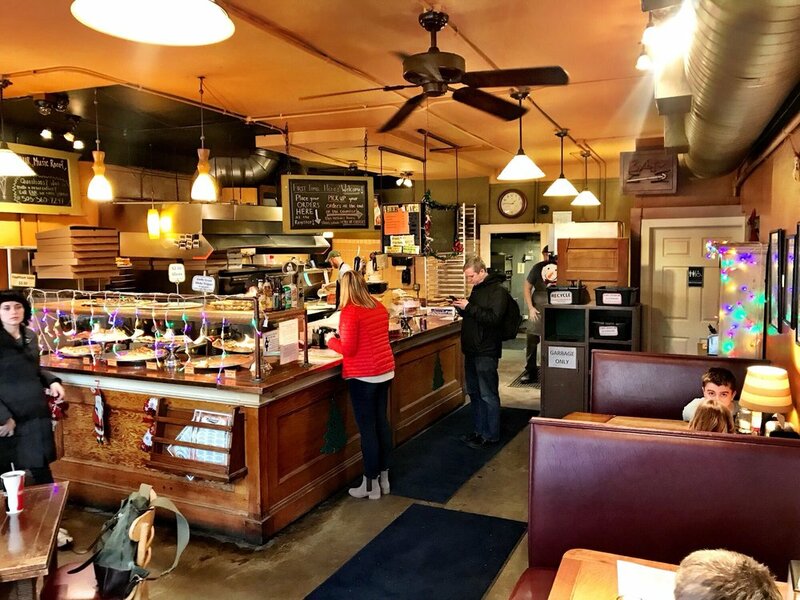 They had an idea for a neighborhood pizza pub that would be based on three fundamental guiding principles: great pizza, family friendly live music and entertainment, and above all, serving the local community. Must Try Menu item: Pizza! I can’t pick one to highlight because they’re all good. If you’re in the Mississippi area of Portland and want gluten free pizza, this is the place to go. 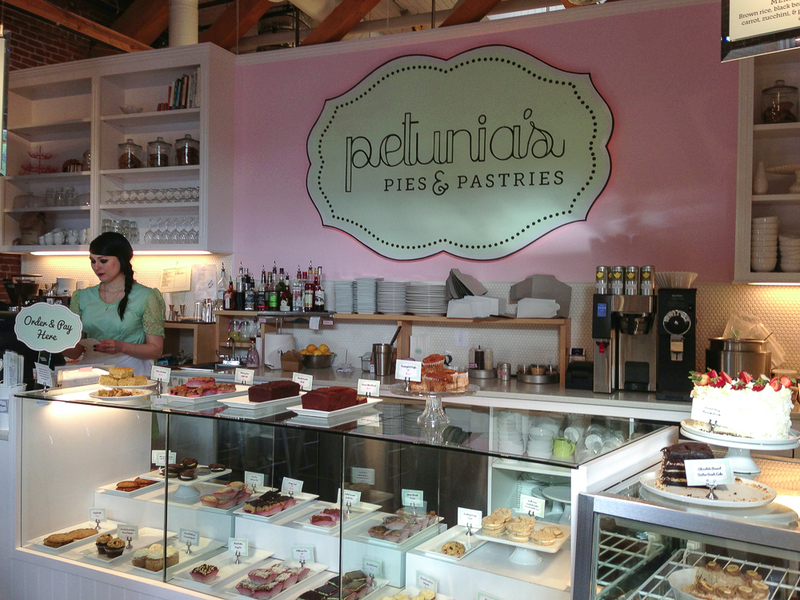 Petunia’s Pies & Pastries is a flourishing vegan and gluten free Portland bakery that was started from the ground up by its current owner, Lisa Clark. Lisa creates a plethora of innovative pastries and desserts featuring fresh, seasonal, local and wholesome ingredients that are entirely gluten free & vegan, even gluten free cupcakes! Peanut butter, chocolate chips, gluten-free oats, toasted pecans, coconut & cinnamon, while being gluten free AND vegan. What else could one want? Dana and Greg opened Corbett Fish House on Oct. 1, 2002. It was an instant success, and no wonder: you just couldn’t find really good fish & chips in Portland. Greg grew up in Green Bay, Wisconsin, where Friday night fish fries are a tradition and a ritual. Since moving to Portland in 1980, he had searched the area, without success, for the kind of fish fry that taverns in the Midwest serve: freshwater fish, thinly breaded (instead of heavily battered). This is the definitive spot in Portland for gluten free fish and chips. Hand-cut fish breaded with brown rice flour and flash-fried in rice bran oil, yum! You have the difficult choice between their original super-thin breading or gluten-free beer batter. Choose wisely, because you can’t go wrong. Served with fries and your choice of tartar, jalapeno tartar or cocktail sauce. 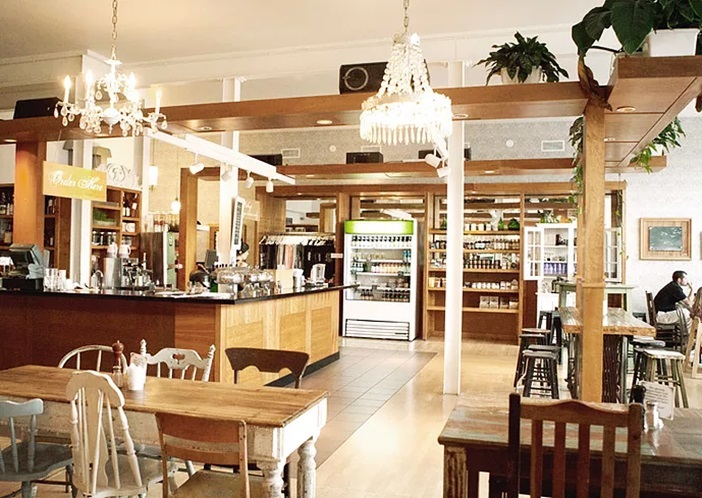 If you’re looking for a delicious, nutritious, carnivore AND vegan friendly restaurant with unique decor, a chill, welcoming vibe and some of the most delightful sweet and savory meals you’ll ever taste in your life, give Harlow a shot. Mixed greens, steamed greens, olive oil, kimchi, sea vegetables, avocado, carrots, scallions, sunflower seeds & za’atar with your choice of sauce. Add some rice, quinoa or a poached egg if you’re feeling particularly hungry.